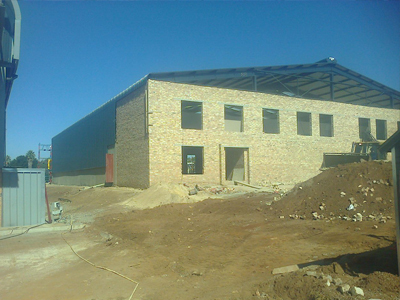 Based in Vanderbijlpark, South Africa, Dewet Nel Construction has been the Steel frame structure manufacturing business for about 20 years. All our steel products that we provide you with are available at affordable prices, yet of very high quality. This is possible due to the fact that everything is manufactured locally in Vanderbijlpark. We can still offer great quality products in a relatively short time, and deliver excellent client service afterwards should there be any queries. Thanks to the knowledge of our team of experts, gathered by years of experience in the construction industry, we can not only offer you customised steel products, but also valuable advice when it comes to the business. We look forward in doing business with you! 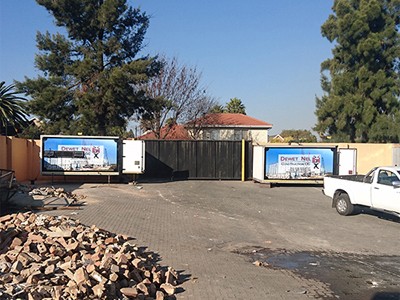 This serves to confirm that AAD Truck and Bus has made use of the professional services of Mr. DeWet Nel of DeWet Nel Construction CC, for the entire project of the construction of a workshop and offices facility on our existing industrial site in Elandsfontein. We always found Mr. Nel to be professional, diligent and efficient. We would recommend Mr. Nel and his Company for the supervision of building developments and construction be they commercial or industrial. Leader Rubber Company thanks you for your service and workmanship in constructing and building a warehouse in the Mixing Plant which was of a high standard meeting the safety standards, rules and regulations required. 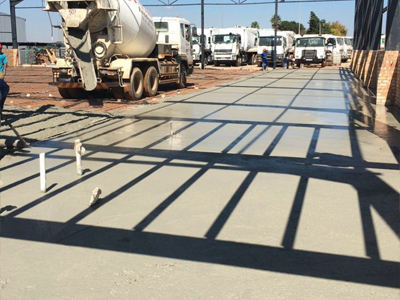 Excellent work was also carried out on the concrete flooring inside the factory and also on the Flameproof store which complied with the Johannesburg Municipality Bylaws. We would therefore recommend your company in this field and would like to thank you for a job well done. We hereby wish to compliment and thank you for the excellent job rendered while constructing and building our house at the Vaal River. You and your personnel put in extra effort to meet our demands and exceeded our greatest expectations by finishing the project in such a short time period. Thank you for the excellent service and quality of work that we experienced.